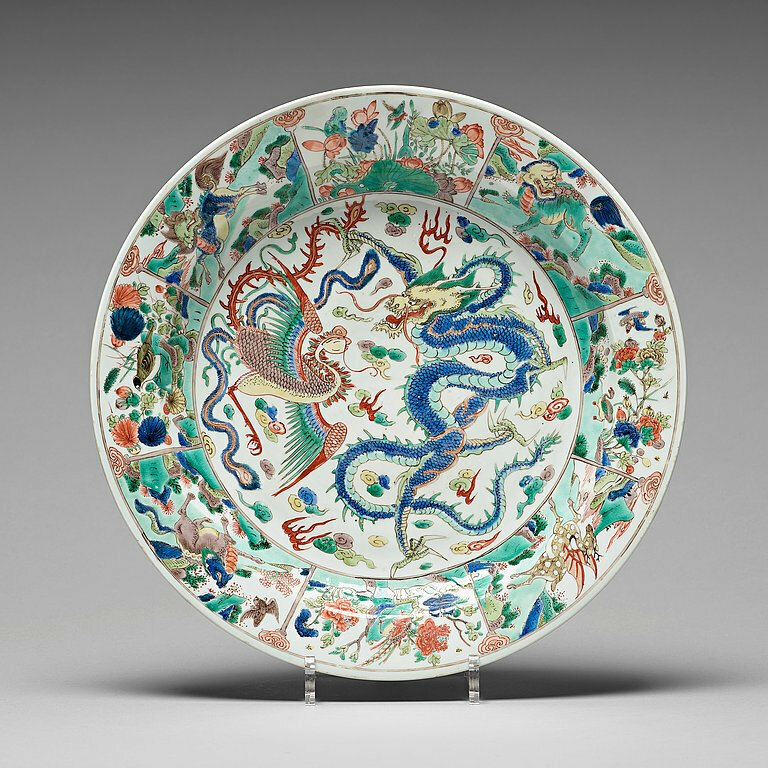 The central medallion is vigorously decorated with a large scaly dragon facing a long-tailed phoenix – both surrounded by stylised ruyi-shaped clouds and red flames. 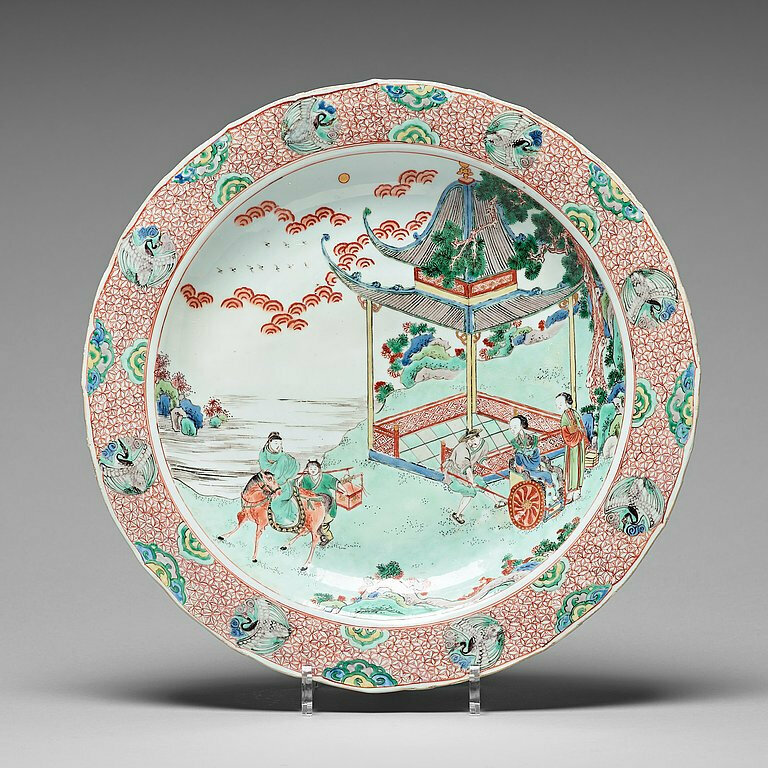 The rim is decorated with panels of auspicious animals – qilin, xiezhi, baize and winged deer – alternating with panels of flowers – peonies, lotus and chrysanthemum. 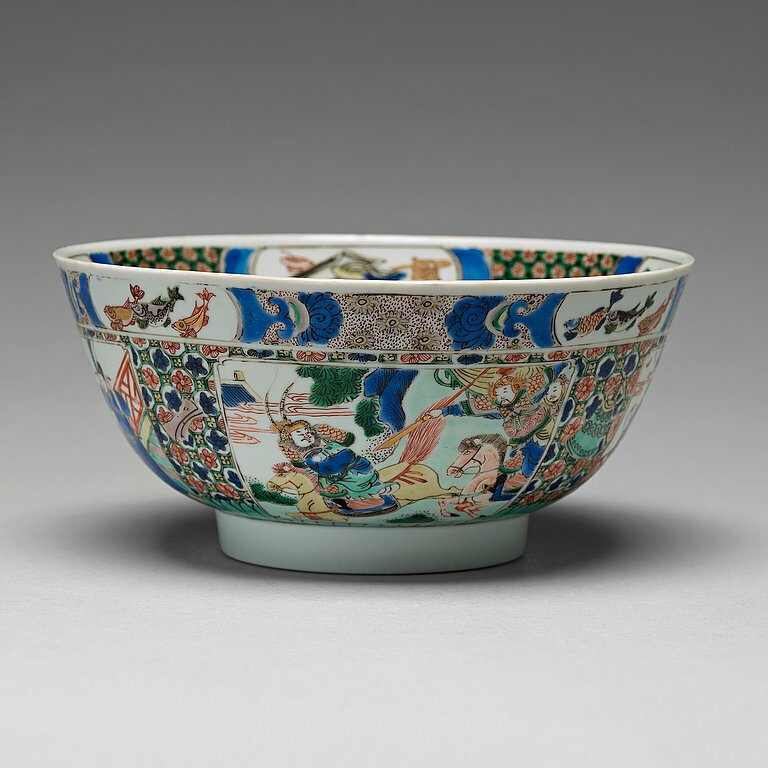 In the centre of the glazed base - within a double circle – is a lozenge embellished with ribbons indicative of magic powers – one of the "Eight precious things". This is thought to have once been an ancient headdress symbolising victory or success.